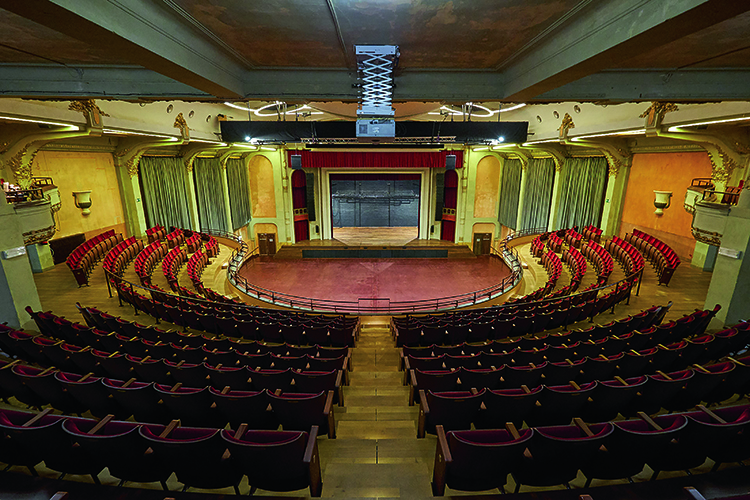 When it came to the new audio system, different manufacturers came up with plans according to the acoustics at De Roma, though, after demos and various tests, it was quickly decided that a d&b audiotechnik system would be installed. For the main FOH system, there is a 14-unit line array, with 10 d&b audiotechnik Vi8 loudspeakers, two Vi12 loudspeakers and two Vi-SUB subwoofers, which are positioned either side of the stage. There are also eight d&b V-SUB subwoofers used in an array that is hidden under the stage within a structure that was custom built by Amptec. De Roma’s stage is also equipped with two d&b V7P loudspeakers and four E6 loudspeakers that cover the first rows of seating. There are another two E6 loudspeakers, as well as 14 M4 wedge monitors from d&b, too. 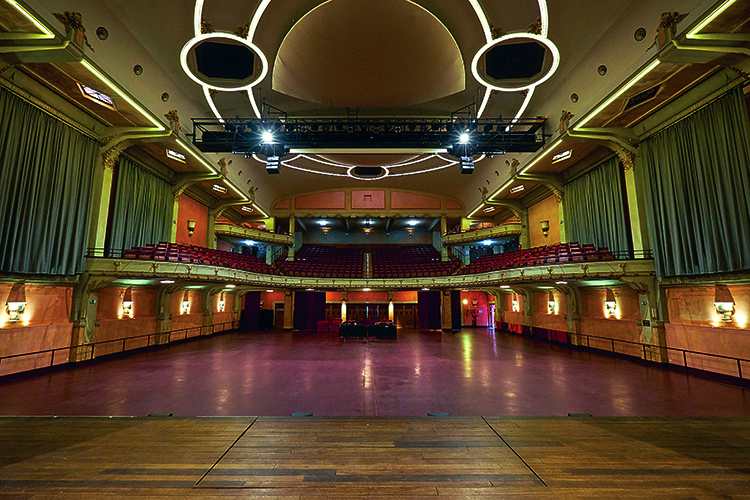 Elsewhere, there are three d&b 10AL two-way line array modules used as a cinema sound system for the balcony seats, while the 350-capacity lobby has a d&b Vi-SUB and a Vi10P loudspeaker either side of the stage. 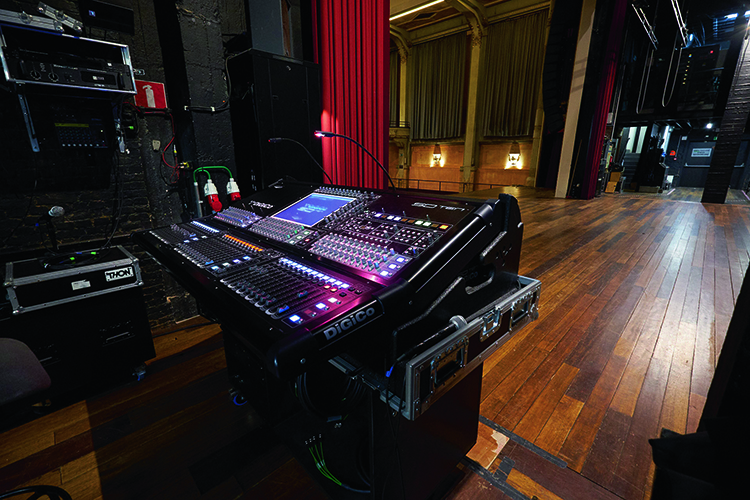 De Roma is the first live music venue in Belgium to use d&b’s ArrayProcessing control technology, with the main FOH system optimised to deliver the perfect balance for the audience. For the control, there is also a DiGICo SD10, an Avid VENUE | SC48 and a Midas XL3 console, which can be used as FOH or monitor desks. The most important thing was to come up with acoustic solutions that would not hamper the romantic elements of the hall. De Roma is a classified building, so all implementations had to be carried out with the greatest respect for the hall’s original style. ShowTex developed a unique and fully made-to-measure solution, an absolute world first. So we had to be very creative, but luckily that’s what we love to do and what we’re good at. De Roma’s concrete roof structure couldn’t fly any extra weight, so ShowTex offered a solution by designing and developing two huge, lightweight acoustic inflatable shells that could be placed under the ceiling. We’ve been using inflatables for ages, from giant projection spheres up to smaller LED lit versions and, over the past year, we had been playing around with the idea of using this technique for acoustic purposes. This was the ideal moment to introduce our inflatable wool to the public.